from the 2018 40th Anniversary Bash Spring Auction & Fundraiser Paddle Raise! from the 2017 Blazing New Trails into the Future Spring Auction & Fundraiser Paddle Raise! 1) Faculty and Staff Attendance at the American Montessori Society Conference in Denver, Colorado. from the 2016 Inspiring Minds Spring Auction & Fundraiser Paddle Raise! 2) New Database (your support allowed us to purchase a new database (PCR) for MSE. We rolled it out in 2017, beginning with Re-enrollment Contracts for 2017-2018). *Unfortunately, a new Database and Employee Benefits are not easy to photograph, such as the photos below depicting the impact of our previous Paddle Raise! 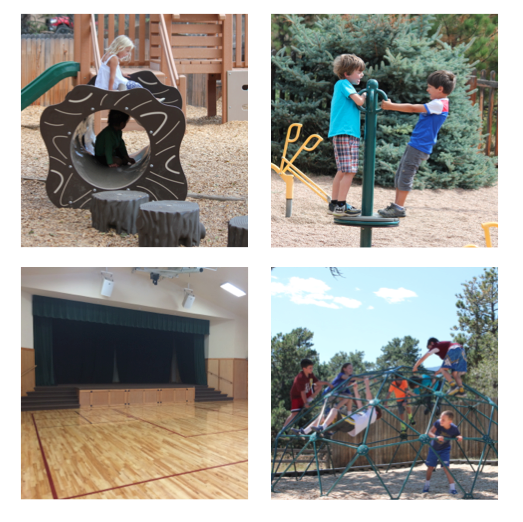 We challenged the MSE Community to raise funds to make various improvements on each campus playground. It was a great success! and the students are really enjoying the new equipment and play structures. We wouldn’t have been able to make these improvements without your support.